Top Ten Tuesday is a weekly feature hosted by Jana at That Artsy Reader Girl. This week's topic is authors I read for the first time in 2018. I read quite a few new-to-me authors last year, including some that are really popular around the blogosphere. I can't say I would read all of them again, but many I would! I enjoyed Denise Kiernan's nonfiction books; although I didn't love them, I would seek her out again. 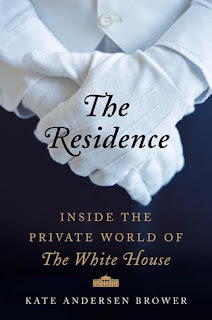 Kate Andersen Brower's The Residence was one of my favorites of the year; now I want to read her books about First Ladies and Vice Presidents. 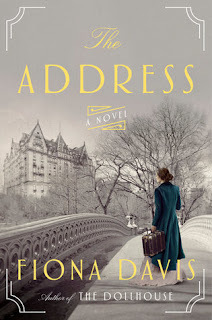 I finally checked out Fiona Davis and her historical fiction novels set in NYC; thankfully she also has a new book coming out in 2019! 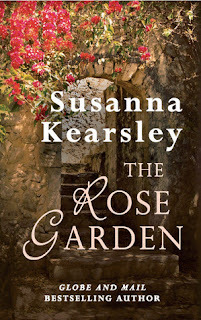 I don't know why I didn't read Susanna Kearsley earlier; her books have so many elements I love. I will definitely be checking out more of her backlist in the future. I loved Arthur Pepper and was so excited to find out Phaedra Park not only had another backlist book, but a new title coming this year! 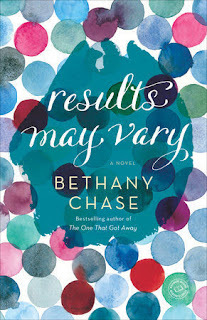 I've had Bethany Chase's books on my TBR for awhile and made a point to read them this year. 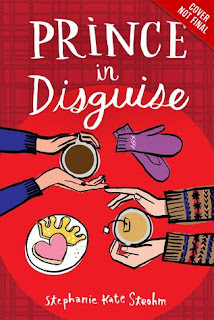 She reminded me of some of my other favorite "chick lit" authors, and I would love to read more from her! These look like some great new finds! They were, I was lucky! I remember how cute Prince in Disguise was! Yay for Bethany Chase being up there! I can't wait for her new book! Fantastic list! I read Fiona Davis for the first time in 2018 as well! The Residence does sound like a good read. I still need to read Six of Crows. I’ve kind of been avoiding it because of the hype, but the hype never seems to die, so I should probably just read it. I know, I finally gave in, and unfortunately it didn't really work for me! Great list! Leigh Bardugo made my list this week, too. 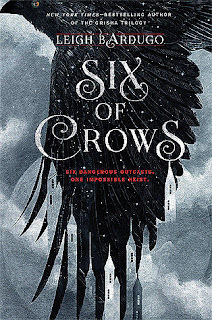 I adored Six of Crows, but because it's so well-loved it's always nice to see people who didn't like it, too - that's what makes book blogging so interesting! I agree! I felt bad about not liking it, but it's really something I could control! 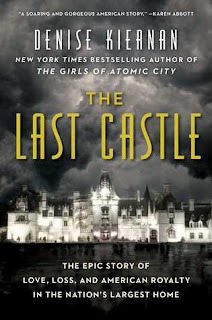 I enjoyed Denise Kiernan's The Girls of Atomic City and look forward to trying The Last Castle. Also enjoyed listening to The Residence (and First Women as well) and would like to read her new book about the vice presidents. Great fiction finds, too! I just got a copy of First Women, and I also want to read the VP book! I haven't read any of these, but most of the books you listed are on my TBR mountain chain somewhere. THE RESIDENCE sounds especially intriguing! I would HIGHLY recommend The Residence! What a great list! I've seen some of these authors appear on other lists so I'm taking notes of authors I need to check out! I loved SoC, and gained a real appreciate for Bardugo. I love Strohm, and have for years. Her books make me smile. I am a fan of the Thousandth Floor series too. I'm glad I'm finally getting around to reading authors that I've been seeing around the blogosphere for so long! I had trouble getting into Six of crows, honestly. Got about 110 pages or so in and wasn't feeling it. 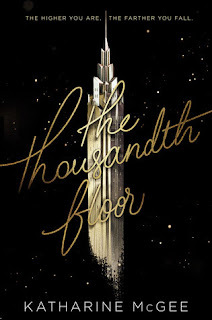 The thousandth Floor though looks good! Glad I wasn't the only one! The Thousandth Floor was fun, very soapy! Sorry to hear Six of Crows wasn't a good read for you. I'm still on the fence about whether or not to continue the Red Rising series. I really enjoyed the first book but read it almost 2 years ago and haven't felt the urge to pick up the next book even though it's sitting on my shelf. 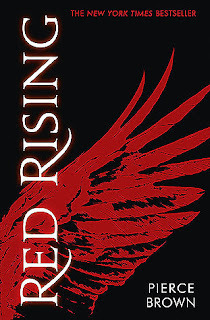 Yeah, I just couldn't get into Red Rising, I felt like I couldn't understand the world and did a lot of skimming! I've read Bethany Chase before and also Fiona Davis. I liked Davis's debut, but haven't read her next couple. They all sound a little the same to me...an iconic building, dual timelines. Maybe i need to get over it and try her again. Fun list. I appreciate your honest comments on each book. Thanks, Susie! I agree, Fiona Davis' books are all pretty similar, but it's all elements I enjoy! Not for everyone, though. I still need to read Six of Crows and I'm also still on the fence for The Thousandth Floor. Yeah, didn't really enjoy Red Rising! I felt like I wasn't understand the world. Yay, I hope you enjoy it as much as I did! I know, she's so beloved! Oh, these all sound so good, Angela! I’d love to read quite a few- The Address, especially. I hope you enjoy them, Jennifer! Haha, I hope you like SoC, too! I do feel like the only person who didn't like it. Right, it could be that I just wasn't in the right mood when I read them, but at the same time, I don't usually go back to stuff I've DNFed! Aww I'm sad you didn't like SoC cause Bardugo's books are my faves lol! I read Rebecca Ross's books for the first time this year! Also Angie Thomas, Roshani Chokshi and V.E.Schwab <33 Most;y enjoyed them all! I haven't read Chokshi before, but I have one of her books on my TBR and hope to get it this year! I know, I want to get to at least the second book this year! I have Six of Crows that I want to read and Red Rising and a few others on here! Great picks and it's nice to find some new authors. I know, I love branching out and finding even more books to read! Oh yay! Glad to see some great nonfiction on your list. I still want to get to The Last Castle. It was a good one - so full of information! Thanks, Emma, I'll have to check that out! I meant to comment on this forever ago - I love this list! Glad you found some new great authors! We do have a few in common here too! Thank you! Yes, we actually do! I read a short story by Leigh Bardugo last year, but I still have to read her novels... I want to start with the Grisha Verse books though. I got The Thousandth Floor when it was on sale... hope to get to it someday! The Thousandth Floor was really fun, I'm planning to get to the second book soon! 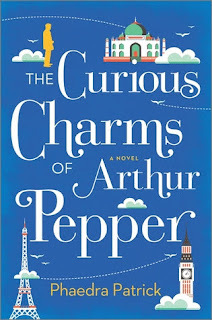 I too loved The Curious Charms of Arthur Pepper, so I'm happy to hear there is more from the author. Thanks for sharing!